It’s been a year since hundreds of Eastern Hills families made commitments to Re:Vision and gave an initial offering to get projects started quickly. In the past year, we’ve completed the following projects. Right now, we’re ordering the equipment to be installed in the early elementary large group space during the week of October 14! All of these things have only been made possible by the amazing generosity of people like you. Thank you for your consistent, over-the-top generosity that is making significant, necessary improvements to these spaces. You have gone above and beyond in your commitment to what God is doing at Eastern Hills, we’re not only fixing broken equipment, we’re improving spaces and helping to create unforgettable experiences to help people. Just last week we had someone send an Uber to a friends house because she ‘needed’ to be here, that’s the kind of church YOU are! 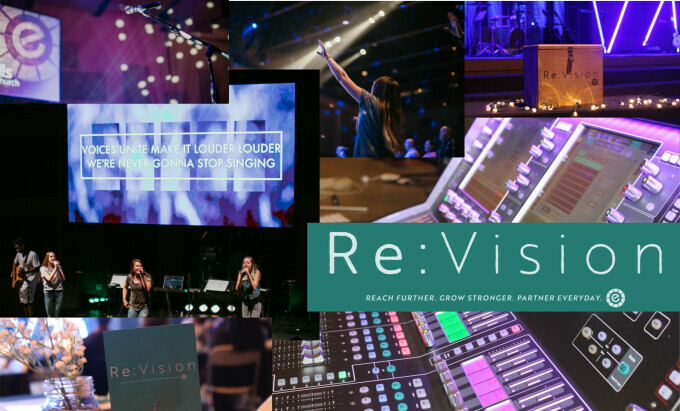 Take a look at the attached document to be reminded of what Re:Vision is all about … and to get the latest information on what’s coming up next. We’ve been able to reduce our expected costs while still maintaining a high quality experience for one of the final pieces of the auditorium upgrades. The apostle Paul said something to the Philippians that perfectly describes how I feel about you all. What an amazing year we’ve experienced together! You may not realize it, but we finish our financial and ministry year at the end of June and begin a new one in July in order to match the rhythm of families with school and activities. We are busy reviewing all that has happened, how we can improve, and what we believe God is calling us to focus on in our new ministry year. It’s exciting stuff! The reason I’m writing to you now is because as we finish our year we are often in a place of trying to finish well financially and I’m so incredibly thankful to report that we are doing really well in terms of our general operating budget. Where I’d love your help is with the Re:Vision fund so we can continue to work on projects this summer and beyond. Many of you know that this campaign was started in the fall and is about finishing the work that so many started a decade ago and we have gotten an amazing amount done already! So far we have installed a new sound and acoustics system in the auditorium, significantly improved our lobby sound, and totally renovated our student environment with a new sound system, LED wall, new furniture, and games! Up next we have a huge amount of video and technical investment to make in order for our LED wall in the auditorium to work and so that we can launch online streaming THIS AUGUST! We have some fun surprises, too. I made a deal with you when Re:Vision started—we weren’t going to add debt with these projects and thanks to God and your faithfulness, we haven’t. In order to keep making progress, we need your help. A recent interaction I had reminded me of how important what we’re doing really is. Just a few weeks ago I was taking off my microphone after our final service and someone approached me who I’d never met before. 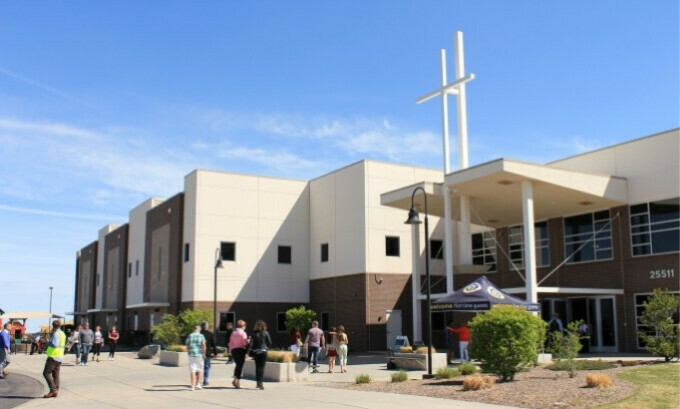 She wanted to introduce herself and share that after not being in church for decades she came to Eastern Hills at Easter and experienced church in a way she never had before. Then she introduced me to a group that was with her. She said, “We’ve been at Eastern Hills every weekend since Easter and we just keep bringing friends ... it’s incredible!” We’re built to reach people close to us and far from God and grow together in loving God and people even more. As our financial year closes would you consider making a donation to Re:Vision? You can learn more at ehills.org/revision or simply send a check with Re:Vision in the memo line. Some of you are honoring commitments you made this fall … thank you so much. And some of you are hearing about this for the first time. I’m asking for you to pray and consider what God may want you to give and then respond to whatever that might be.